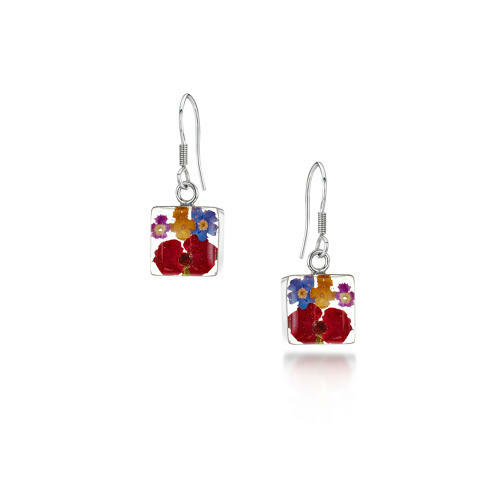 Sterling Silver square drop earrings handmade with real mixed flowers. Situated on hook wire earring fittings. Includes stylish gift box.